What is involved in the adoption process? 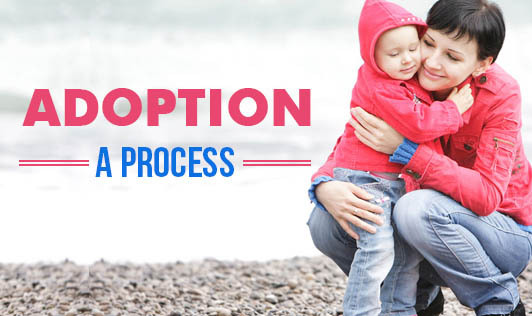 Many people naively believe that adoption simply consists of walking into an agency and walking away with a baby. Of course, it's much more complex than this. It involves considerable paperwork; asking questions; solving problems; researching; spending money; and going through emotional ups and downs. It takes time and work but remember that those who want to adopt will always succeed. These procedures have been designed for your benefit so doesn't be lured into taking "shortcuts" - these can hurt you in the long run. After all, adoption is not just a means of finding babies for infertile couples, but a way of finding the right family for a particular child. • The age between the adoptive parents and the child be less than 40 years. • The couple should have been married for at least five years to attest to the stability of the relationship. • The couple should have a regular source of income. • Neither of the partners should have a major illness which may reduce your life-span.